Romila aka Novemberschild all through the social media is one of the strong, independent women I admire. I have never met her but through our interactions online she has shared her anecdotes with me and helped on. As a lover of literature who is passionate about books, writing is her forte. She is an impulsive poetess and a coffee addict. Romila love colouring and music. Always armed with a pen, She is ever ready to leap into the world of creativity. She was born, brought up and educated in Delhi and at the moment She lives in Hyderabad with her parents. She is an award-winning Writer, famous veteran Blogger, Author of 4 EBooks, Editor of lifestyle e-zine and a Columnist who has been in the literary ring since 1996. 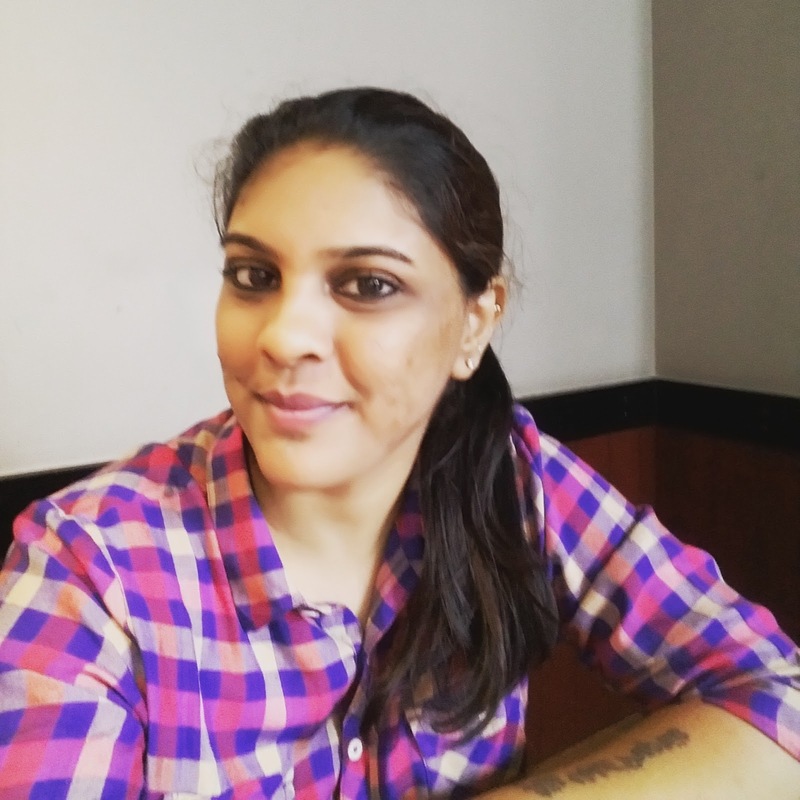 She has been featured in Paycheck India –IIM (Ahmedabad) Project, Baggout, The Directory of Best Indian Blogs, GeekPost, Buzz Magazine, Speaking Tree (Times of India), Brutally Honest, Blogchatter, WritersMelon, Money Control, Writers Conclave and Mumbai Matters. She likes to travel, talk, express and spread happiness. When She is not writing or reading, She watches movies, sleep, tweet or think of honing her culinary skills. Recently she has released her 4th ebook - MIDNIGHT MUSINGS. So here’s an interview with her. Q. 1. A blogger, a columnist, a poetess, an author - Novemberschild, tell us how did it all happen or was it always part of the plan? I call myself God’s favourite child sometimes, as all these just happened. I never planned anything. I want to write more books, get more fame, write for famous publications internationally and win awards and rewards. For all this I need best wishes and blessings. Q.2. What was your journey, how did you start to write and pursue the same as more than a hobby and eventually a profession? I started writing at the age of 13 in the year 1996 for my school magazine as I was approached by my Hindi teacher Mrs. Rashmi Srivastava who saw the writer in me. I was hesitant as I had never written a single word before that because I was always a reader, but she encouraged and helped me. My first piece was in Hindi on the topic Unemployment which was approved and published and after that my mother discovered a prospective writer in me and she pushed me towards writing. From school magazines to local newspapers to national magazines to websites to blogs to famous publications, I have written for all. Q.3. Your latest ebook - Midnight Musings, how did you come up with it? Midnight Musings is my 4th book- 2nd poetry attempt and first in Haiku. I am happy to call myself a successful poetess. I experimented Haiku and I am happy with the result. I wrote haiku because I love noticing what’s going on around me and within me. I feel each day offers gifts of insight and moments worthy of contemplation which I tried to bring alive through my poems. P.S. - You can read my review of the book here. Q.4. Tell us more about Midnight Musings? All the haiku’s I wrote happened between 12am -2am. I write during nights. Every poem has a story behind it. It took me more than 62 nights to write them and all these nights have been special for me. The most challenging bit was handling Haiku with alphabets Q-X-Z. As always self-brainstorming session helped me crack that challenge. Q.5. What advise will you give to fellow bloggers who are still unable to make up their mind to write a book? Writing is not an easy task. It takes a lot of focus and commitment to be successful in this field. Not many people who aspired to be great writers saw it through. Not all people will like or resonate with what you write about. Some people will think that your writing is nonsense and some people will regard it as uplifting. Expect less from your audience. Writing is a beautiful craft. Understand what it will require out of you before going any further. You will grow and you will learn. You will succeed and you will fail. If you don’t have the passion for it, don’t invest any more of your time in it. Q.6. Why the name - Novemberschild? Novemberschild is not my pen name. It is my username/identity I have on Twitter. I am November born and I feel everyone has a child hidden in him/her despite the age he/she turns into. It was in November 2015 this name happened. I blog with this name, my blog is named as Novemberschild, though offline articles and the books are on my real name. Ever since I tasted the literary (eBooks) success, I have become more real on Social Media. Q.7. We all know you are a meticulous planner, so I personally want to know, what are the 5 most important things to be kept in mind while planning on a day to day basis? Planning your day is one of the most important things you can do every day. By taking just 5-10 minutes each morning (or the night before) to strategically plan out your day, you'll be able to get significantly more out of your day. We're all given the same amount of time everyday (24 hours), but we all don't use it the same way. Planning your day (even your week) will allow you to effectively utilize the hours that you have available during the day. 1. Take out a journal (or an app or whatever) and write down EVERYTHING you can think of that you need to get done. Typically, I work off my weekly plan for this, but I always add more things that come up throughout my week in my daily planning process. 2. “What do I really want?” This is one of the most important questions you can ask yourself. I ask myself this question all the time. Yes, I want to work out today. But the truth is, I don't just want to work out for the sake of working out. The reason why I'm working out is to achieve a specific OUTCOME. 3. Once you know what you want, and it's written in your journal, next you want to write out WHY you want it. I usually write out underneath my outcome a small paragraph about why I want it. Or I might just write down 3 reasons in bullet point, just to do it quickly. These reasons are what will MOTIVATE you. It's what will give you the fuel for the fire to achieve your outcome. 4. Once you know what you want and why you want it, the next thing is to create your action plan. This is where I take ALL of the items I've captured earlier and now organize them for each of my outcomes. 5. Every day, I have different outcomes. It's based on the question, “What do I want?” and the captures of what I need to get done. I always make sure to prioritize each action item. I will write the number 1 next to the item that is most important, number 2 for the 2nd most important, etc…This helps me identify what is the highest priority for me to work on, in order for the day. As you can see, this method is a lot more effective than a “To Do List”. It's creating a powerful plan for the day that motivates you and gives you more fulfillment for achieving your action items. To take things further, I always make sure to SCHEDULE these action items. Q. 8. How is a day in Novemberschild's life like? I have a pretty set routine but that doesn’t mean I don’t have lots of random things I need to do here and there. I tend to bang out some ideas and clip links which I add to, patchwork, and fiddle with over time. Every day is different. I ban myself from checking emails or social media as it’s too distracting while I write. I work on an editorial calendar which helps me plan my content, but it’s still flexible so I can add stories at the last minute. As for the actual writing, that tends to happen more spontaneously. I have a general quota of 1,000 words a day, but that can include a variety of writing. If I’m working on a book manuscript or traveling I create the blog posts in advance. I almost always do some work in the evenings. I tend to get really focused during this time and am really productive. I like to blast through and clear my inbox, check off those last couple things on my to-do list and make my schedule for the next day. Bedtime! This has been a big adjustment for me. I have always found myself going to bed more around midnight. Everything I do during the day is done in batches. I try to do as much batch work as possible. I like being able to focus on one task and get it done, before moving onto the next task on my list. and I seriously don't remember their names.